The end may be here, but the fun will last forever! 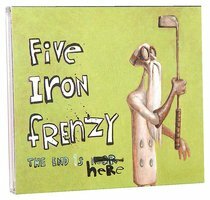 This double CD is packed with over 20 of the Frenzy's biggest hits recorded live at their final show, PLUS their final studio album, previously only available on their farewell tour. Don't miss out! About "End is Here, the Limited Edtn (Double Cd)"